We find that a lot of our customers come into the store asking for advice on how to improve their energy levels. As an osteopath this is also a common problem among my patients. One of the first things I ask my patients is, “What are your energy levels like?” It’s unusual for people to tell me that they are good! High stress, poor nutrition and sedentary lifestyles all contribute to energy level problems. Even if you have a lot of stress in your life, if you have good nutrition you should have abundant energy. Most people tend to start their day by eating breads, grains and cereals, and that’s what begins the rollercoaster ride of blood sugar levels and poor energy. It’s vital to start the day right by eating a healthy breakfast in order to ensure that your blood sugar is balanced for the rest of the day. We’ve been misled into thinking that cereals and grains should be a staple part of our diet. We should really be eating a combination of good fats, lean protein and good quality carbohydrates from vegetables. Sources of good fat include high quality grass-fed meat, butter, olive oil, hemp seed oil, flax seed oil and coconut oil. Ensuring that you eat a good source of protein with every meal will also ensure good energy levels. The other part of energy production is movement. The modern lifestyle is such that most people spend their day either sitting in a car or at a desk and this causes what I call inertia – a lack of movement. People end up feeling tired from actually doing nothing! Our bodies thrive on movement and the general advice is to aim to get at least half an hour of exercise each day. That could be as simple as walking. Going for a walk half an hour after eating a meal is a great way to aid digestion. In terms of foods to avoid, I would recommend steering clear of processed foods and too much sugar. Making your own food from scratch is the best way to ensure a healthy diet. Many people rely on coffee to give them an energy boost and my advice would be to avoid instant coffee, and opt instead for good quality, organic coffee made from whole beans that you grind yourself. Some people cannot tolerate caffeine and should therefore avoid it, but good quality coffee comes with potentially some health benefits. The important thing is to avoid getting hooked on tea or coffee as stimulants. Guarana is a good natural alternative to stimulants such as caffeine. If you are feeling tired and need a boost it can give you a lift but without the shakes that you can get from drinking too much coffee. In terms of supplements, CBD or cannabidiol, can be highly beneficial to energy levels. We have found that the water-based variety can be amazingly energising, especially for people suffering with fibromyalgia and ME. One last thing to bear in mind is that fatigue is a classic symptom of thyroid issues, so it is worth getting that checked out to rule out any problems. 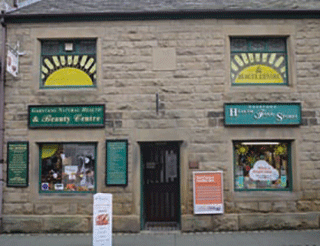 Garstang Health Food Store is located on the High Street in Garstang, Preston, and has been established since 1971. Nick Tofalos used to work as an osteopath at the natural therapy centre next door and took over the ownership of the store along with his wife when the previous owners decided to retire.